Dark Side of the Moon. made bởi me :). 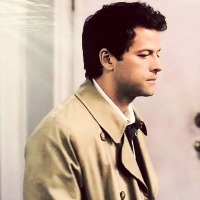 Images in the Castiel club tagged: supernatural season 5 dark side of the moon castiel. This Castiel icon might contain chân dung, headshot, and closeup.